Buy Two CC Buds Pro and get the Third pair FREE! I will plan to grab a pair of these in the near future. I keep a pair of the original CC Buds in my Elecraft KX2 go-kit–I find that they’re well-suited for ham radio work and the audio fidelity is quite good for music as well. I used the original CC Buds on at least 80 National Parks on the Air activations last year. They’re a great choice for sound isolation–more than once I had to set up next to a road and the in-ear buds eliminated all of the noises from passing cars so that I could focus on working pile-ups! Thanks for the tip, Troy! This entry was posted in Accessories, New Products, News and tagged C. Crane, CC Buds Pro, Troy Riedel on June 8, 2017 by Thomas. I looked and found that the frequency response with these is 20- 20,000 hz. I have cheapies from Walmart that have the same spec. I like earbuds and I’m sure these are fine and well prices but I’m unclear how they are “designed for voice clarity”. Is it because of a smaller driver? FWIW, while these may be “Designed and built for voice clarity and less listening fatigue”, chances are they’ve just got a very slack non-flat frequency response that just happens to boost frequencies in the typical “300Hz-3.4KHz” comms voice range. I also note you can buy identical-looking earbuds for < 1/10th the price on Ali & Taobao. My preferences are for headphones. Earbuds are a cockamamie idea pushed by apple with their iphone. buds can become painful after a spell of listening. I agree with you about how painful some earbuds are over time. I all but gave up on them at one point. 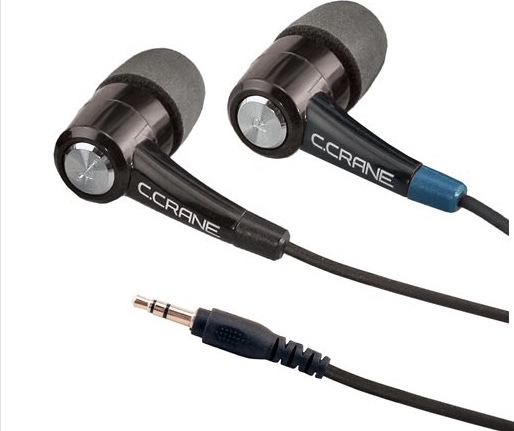 But the advent of the in-ear earphone (like the CC Buds) is a completely different story. They have a soft silicon earpiece that fits comfortably (for most, at least) in-ear and isolates sound well enough that I even use them while running a chainsaw or lawnmower. They’ve seriously revolutionized my listening and I use them daily. Some models are comfortable enough you can wear them in bed and they don’t hurt if you fall asleep.